Join us for a happy hour and designer talk hosted by Industry City and co-sponsored by Pratt, Areaware and WantedDesign to celebrate the release of the Mirror Mask by Chen Chen & Kai Williams. Join us for a special talk about the ways in which designers articulate their unique points of view while collaborating with major brands that already have a defined aesthetic. How do makers, from the emerging to the very established, collaborate with unique brands? Participants will include Pratt alumni Chen Chen and Kai Williams of the eponymous design studio, celebrated designer and Pratt alumnus Harry Allen of Harry Allen Design, and the creative director of Areaware Lisa Cheng Smith. The conversation will be moderated by Anita Cooney, Dean of Pratt’s School of Design. The conversation, which will begin at 7 pm, will be part of a special evening in honor of Chen Chen and Kai Williams’ new “Mirror Mask,” produced by Areaware. 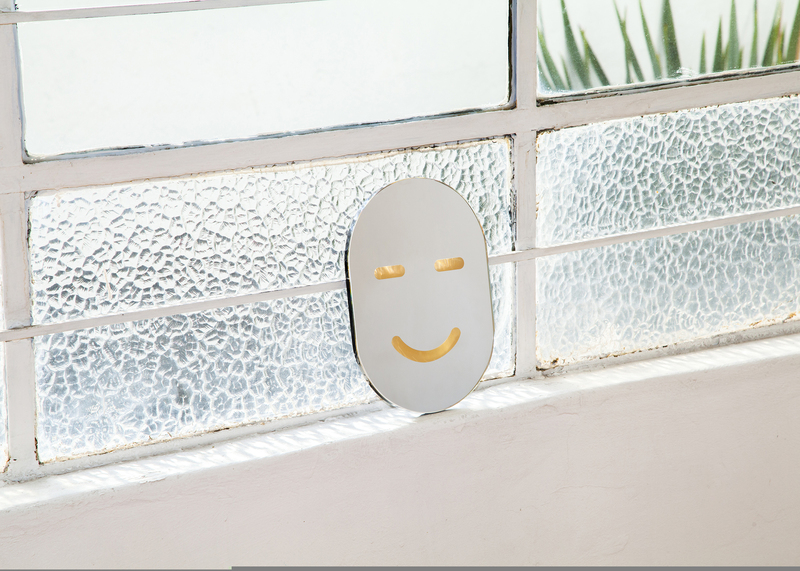 Mirror Mask will be on sale at the event in the WantedDesign store, along with the work of many other designers. Attendees who purchase a Mirror Mask will also receive a unique wooden prototype of the design, which can be signed by the designers. Complimentary food and drink provided by The Landing at Industry City.